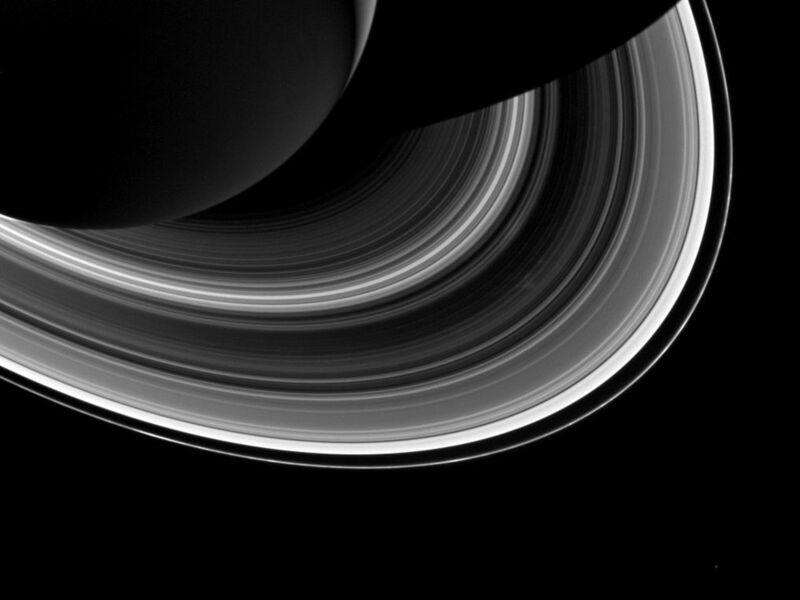 Among the interplay of Saturn's shadow and rings, Mimas, which appears in the lower-right corner of the image, orbits Saturn as a set of the ever-intriguing spokes appear in the B ring (just to the right of center). Scientists expect that spokes will soon cease to form as Saturn approaches northern equinox. The exact mechanism of spoke formation is still the subject of debate, but ring scientists do know that spokes no longer appear when the Sun is higher in Saturn's sky. It is believed that this has to do with the ability of micron-sized ring grains to maintain an electrical charge and levitate above the rings, forming spokes. 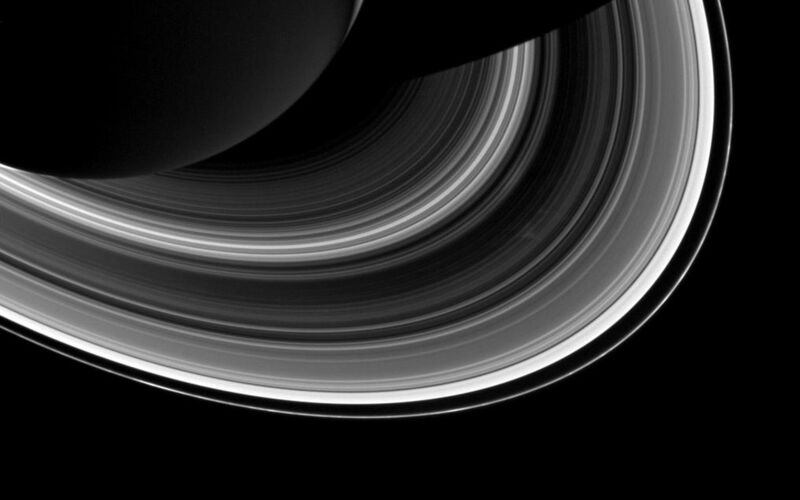 Thus, these may be some of the last spokes ever imaged by Cassini. This view looks toward the unilluminated side of the rings from about 38 degrees below the ringplane. 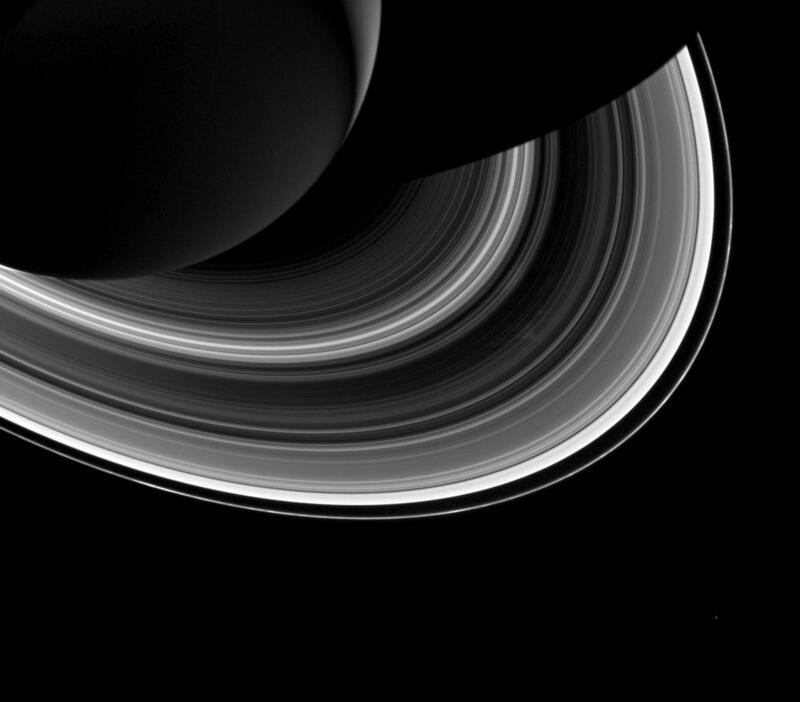 The image was taken in visible light with the Cassini spacecraft wide-angle camera on Oct. 22, 2013. The view was obtained at a distance of approximately 1.6 million miles (2.6 million kilometers) from Saturn and at a Sun-Saturn-spacecraft, or phase, angle of 146 degrees. Image scale is 93 miles (150 kilometers) per pixel. For more information about the Cassini-Huygens mission visit http://saturn.jpl.nasa.gov and http://www.nasa.gov/cassini. 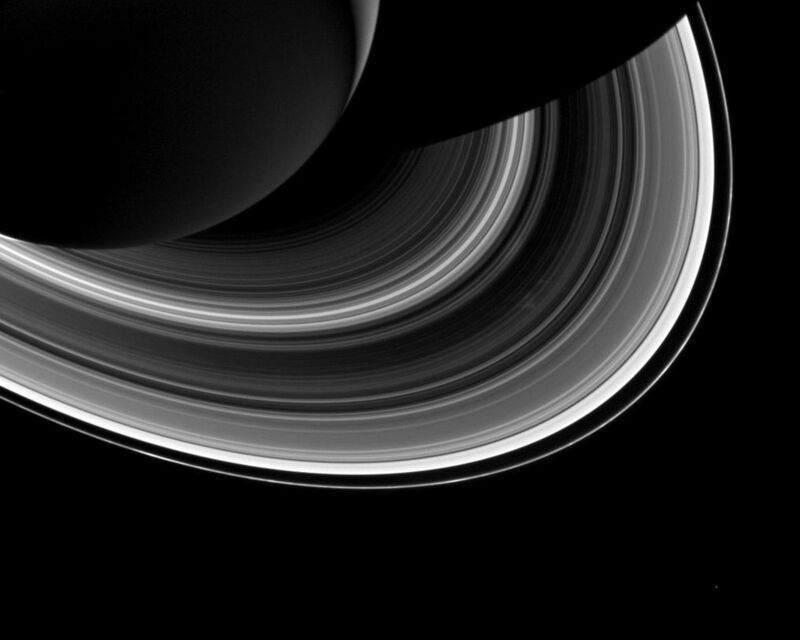 The Cassini imaging team homepage is at http://ciclops.org.